If door damage is your problem. TKO is your solution. Do you have problems with door damage? Look no further. You've found the solution. These doors can handle the abuse. Period. TKO Dock Doors offers a wide range of overhead doors suitable for a variety of applications. 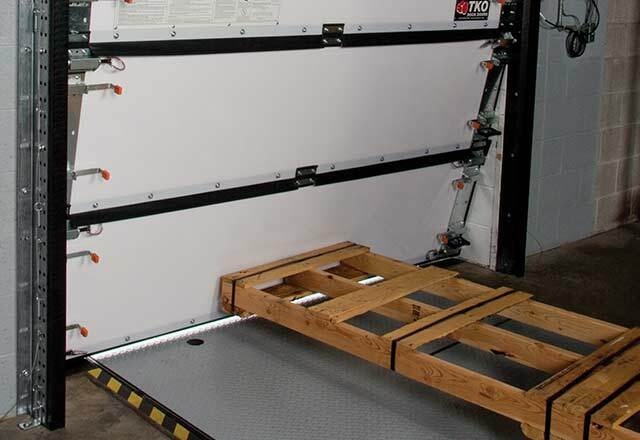 TKO’s line of specialty and impactable dock doors are designed to provide optimal energy efficiency at a lower total cost of ownership. With unique features such as a patented track, panel, plunger and weatherseal system, TKO Doors have the potential to help facilities realize substantial energy savings and reduced maintenance costs.